Travis Vader, the man once accused in the 2010 murders of an elderly Alberta couple, says his last four years in jail have probably ruined his life. Vader, 42, was released from an Edmonton remand centre Wednesday night, hours after he was acquitted of several theft, drug, and firearm charges. Vader was once charged with first degree murder in relation to the disappearance of St. Albert, Alta. couple, Lyle and Marie McCann. They were last seen more than four years ago, fuelling their motorhome which was later found abandoned and burned. Their bodies have never been found. Those charges against Vader were stayed last March, with the prosecution saying there was not enough evidence to go ahead with a trial. But Vader still faced several charges, dating back to June 2010, related to the theft of a truck, possession of an illegal firearm, and drug trafficking. His first trial on those charges ended in a mistrial two years ago. He was fully acquitted on Wednesday. Stopped by CTV News cameras outside the remand centre as he was leaving, Vader was asked what the last four years in pre-trial custody had done to him. "Probably destroyed my life," he replied. "They hid me in jail for years to investigate me when there was nothing there to begin with. If there was, I wouldn't be here right now," he said. When asked what he would say to the McCann family, Vader said, "My heart goes out to them. Really, it does. Truly. I can't imagine what they went through." And when asked what it felt like to think that some people might still believe that he had something to do with the McCanns' disappearance. "It's horrible. What do my children think? What did they go through? It's not me, it's my family, what they went through," he said. Vader called the investigation a "witch hunt" and said he would be talking to his lawyer about how to move forward. The stay of prosecution in the murder charges means the Crown has the option of reactivating the charges in the next year if new evidence comes up. Vader's defence lawyer, Nathan Whitling, says his client wants to live a quiet life and return to his old oil patch job. The disappearance of the McCanns, meanwhile, remains unsolved. 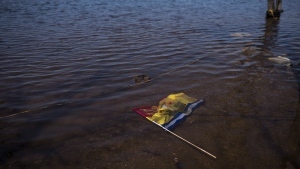 Though police combed 260 square kilometres on the ground and by air, no sign of the couple was ever found. A year later, an Edmonton court declared the McCanns dead so their family could start processing their wills. The McCann family released a statement Wednesday, to say that the past four years have been extremely difficult for them. "However, during that time, we have come to realize that Mom and Dad raised us to be resilient, strong, patient and loving people," it said. "This was their gift to us and it has served us well throughout this ordeal, and will continue to do so until the investigation into their deaths is resolved." 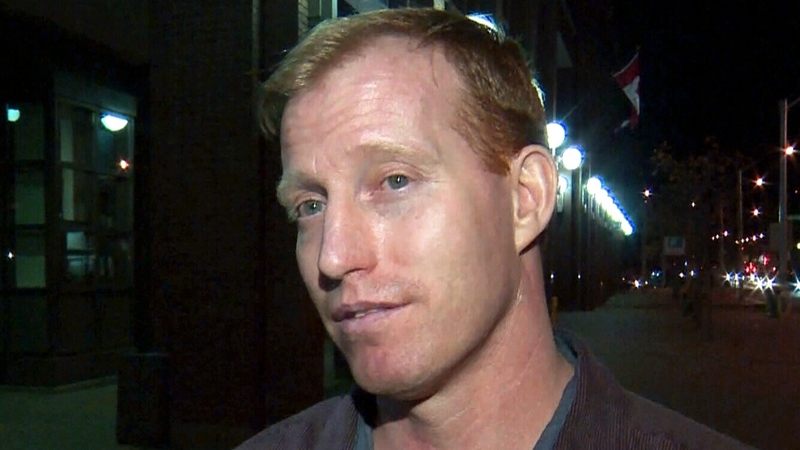 Travis Vader speaks to CTV in Edmonton, after his release from jail, Wednesday, Oct. 8, 2014.